What makes a residential bathroom makeover more Austintaceous in a laid back Central Texas city like ours? What propels a bathroom upgrade to stand alone in Austin like the proud lone star representing our beloved state? What enhanced characteristics are shared but also contribute to all completed bathroom projects making them exclusive and individual? Personality with pride is the only way to sum up all the major characteristics adding up to create a great Austin bathroom remodel. There is a feeling within the new bath that only the great wide open spaces of Texas suggest denying the discomfort of confinement. We all express our individuality living here in Austin. We meld together our backgrounds and cultural differences to form a diverse but unique city with style. Certainly style is what is needed to compliment that pride that Texans feel so strongly. What about the costs involved? 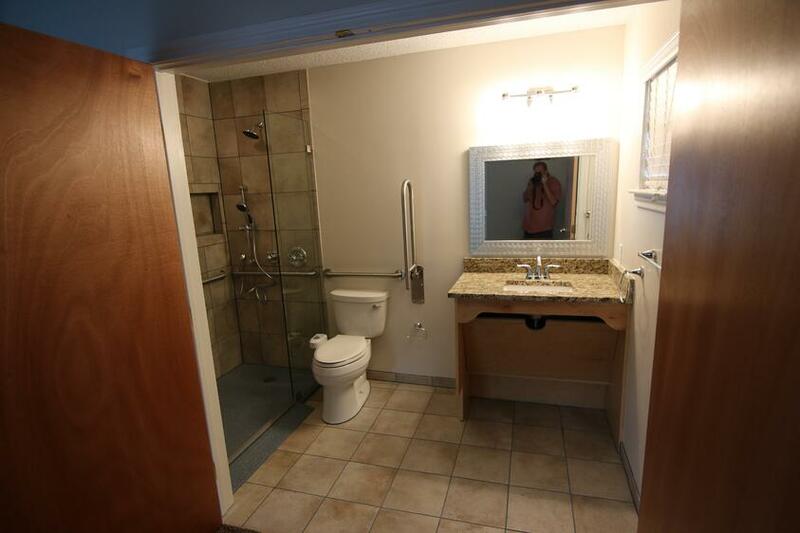 In general, a typical small hallway bathroom remodel in the Austin area can run you about $19,000. However a larger master bathroom makeover can push up your budget to around $40,000 as an average. Don't forget that these are average costs and the client is limited only by their bank account. Just the conversion of a tub into a walk in shower design can set you back around $14,000 as a good medium price range. But what makes the costs appear so expensive? Basically time, the difficulty of the job, and the actual labor costs performed by all the trades involved on top of the expenses to purchase the products chosen for the project. If you are fortunate to have a larger space to deal with there will be increased costs due directly to the larger area to finish -as in more tiles for a bigger area and the labor to install them. Your costs may go down per square foot but you are certainly dealing with more square footage and the associated increased costs. You need to consider that plumbers, electricians, tile setters, framers, drywall workers, carpenters, and insulation installers, just to name a few trades, will be involved in your bathroom remodel. Now how about the demolition that will be involved before the actual construction begins? Sometimes the preparations behind the walls or floors can take longer than building the new bathroom remodel itself. Perhaps there isn't enough water volume to supply your chosen bathroom shower fixtures requiring a supply line to be enlarged or there just isn't sufficient fall for a gravity drain to work naturally that necessitates a lift pump system be installed. What are the new electrical requirements and layout and do these require dedicated, GFI, or arc fault circuits and outlets and will the existing electrical panel handle the additional circuit breakers or is a sub-panel needed? Any bathroom transformation must stand out even to their owners after the job is complete and all the workers have gone away. The use of granite, marble, onyx, limestone, or glass tiles during a bathroom upgrade can only be further enhanced when any design utilizing glass blocks is introduced into the mix. Glass block designs can be inserted into an interior shower wall or on the exterior wall itself creating a waterproof window with both privacy and insulating capabilities. Glass blocks also make a great toilet partition when you don't want the confinement of a toilet room. Let's move on to either the tub removal to produce a larger walk in shower design or the tub's replacement. A modern free standing soaking tub will require replacing the tub filler with one coming out of the floor or out of an adjacent wall. 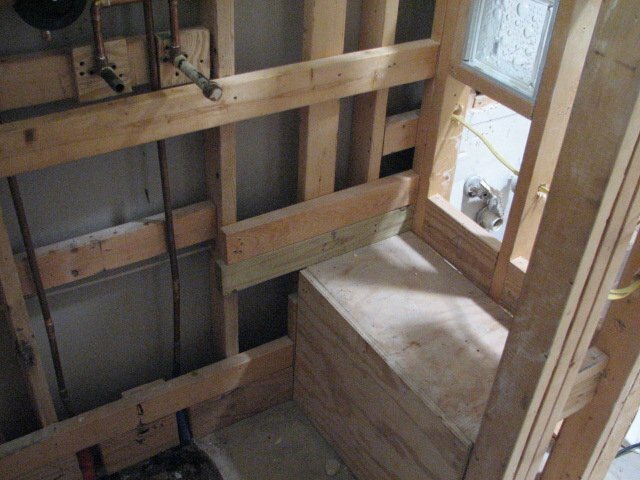 An under mount tub will require a pedestal with a deck mounted faucet. Even replacing the existing tub/shower valve and tub spout will give you a shiny feeling of newness. A new glass enclosure for a tub/shower combination will provide a revived look plus the more expensive frameless models will bring your bathroom completely up to date. If deleting the tub during a tub shower conversion to create a custom walk in shower design is your choice then you have a few options to consider. Do you wall in two thirds of the width of the old tub placing the new door away from the shower head? This new wall can be tiled in to match the shower. 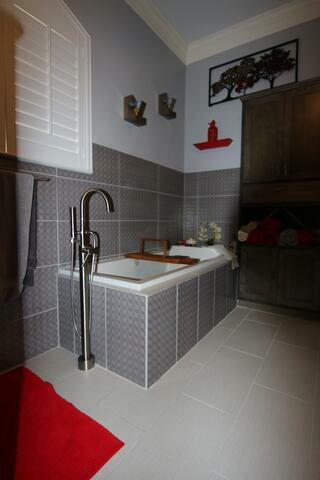 Using natural stone or glass tiles will certainly be an upgrade for any Austin bathroom remodel. Do you desire a more expensive frameless door set beside a glass panel? 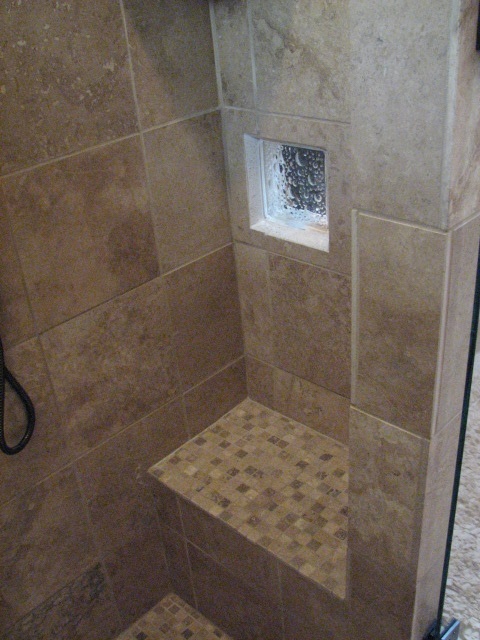 The enclosed shower can incorporate a couple of shampoo niches for convenience and clutter removal. The designs are limited only by your imagination and how you want the final product to turn out. Be sure that all your research is justified and don't try to cram too much into your new bathroom remodel. A good design is one that can come into being with the least time spent on alterations and additional costs. Austin bathroom remodeling should involve multiple shower head combinations in multiple locations within the shower to fit anyone's desires. Rain heads coming out of the ceiling, body sprays coming out of the walls in many locations, or hand held units attached to the shower walls can be very practical. These combinations of heads and locations can be used to create rain effects, provide relief for muscle aches through body massages, or simply provide pin point convenience with hand held variable heads. The possibilities are endless as you utilize your bathing environment. Steam generators are also being considered as an investment in today's fine bathroom designs. The steam heads can make the difference after a tough day when you're looking for that more therapeutic spa experience. Colors for bathrooms today are natural and earthy creating a calming effect. Accents of color reflected from the tiles, paint, fixtures, and woodwork are used to make things a little more interesting compared to a room's overall vanilla tones within your design. Help is just a phone call away but be sure the one who answers has the qualified experience you need for completing your new bathroom transformation. If you're uncertain about how to proceed with any bathroom remodeling project always rely on a local and trusted building professional. Sometimes spending a little money for experienced help with design and construction techniques can save you a lot during the construction process. 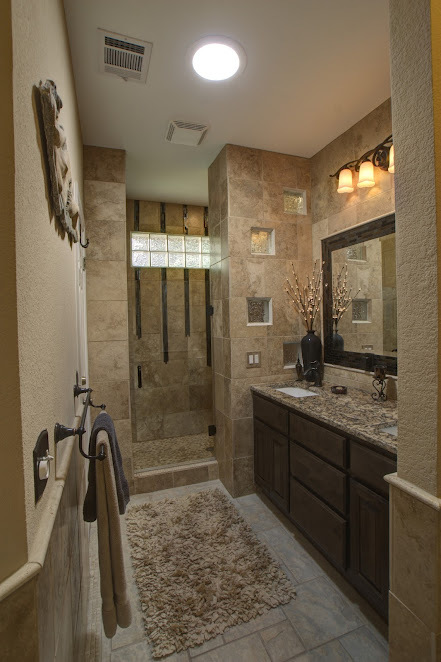 T-Square Company in Austin has been an accomplished design/build bathroom remodeling company for over three decades. Call us today at 512-444-0097 to schedule an appointment. With our population living longer, our society is experiencing an age related housing problem. Aging in place issues have become the norm given our aging baby boomer population. Aging in place specialists holding a CAPS certificate, their services, and aging in place design is taking over the remodeling industry day by day. A revolution in building design standards is long overdue. Our current building design standards do not address the needs of more than one third of our existing population. Many more people can greatly benefit from accessible design versus conventional design. Our rapidly aging population is experiencing the limitations of our personal living environments. Any evolution in building practically always begins in the common areas of the commercial building sector. The American Disabilities Act of 1990 increased the attention needed for those people having the right to equally access their work place and any recreational or leisure facilities. These rules at least offer minimal solutions for those needing the most help with any building access. In Austin, we now must provide access to one bathroom on the first floor in new homes as deemed by our newly adopted building regulations. This basic right to an accessible bathroom is finally being enforced by the city's building officials. What a tremendously needed and basic design improvement to our homes! This adequately sized universal design shower above has wood blocking in the walls for a future folding seat and grab bars to be installed at the appropriate time. The low threshold shower entrance accommodates all users. 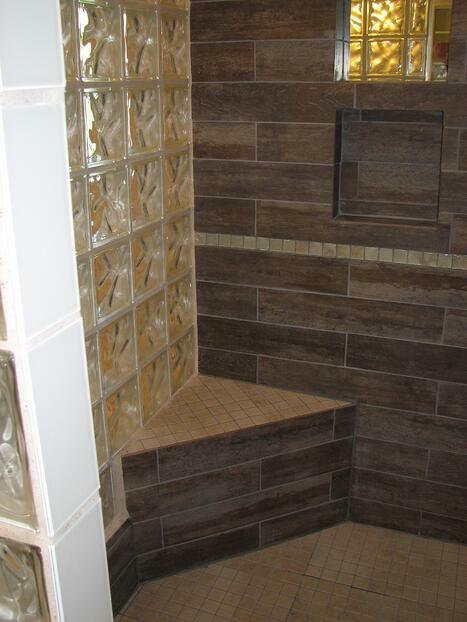 The shower controls are within a 48 inch height off the finished floors and graspable by all. The dual shower heads are definitely user specific. The shower entrance door has a 32 inch clearance when fully open. There is adequate spacial lighting for showering. The floors both in the shower and connecting bath floor have an adequate nonskid surface rating. The Universal Design (UD) concept is also age driven like the aging in place design issue but addresses the design of all homes both new and existing. Universal design/build addresses not only the problems all of today's homeowners face but the professional skills involved in design, building, remodeling, and all social and health services. This new evolving concept in home remodeling is catching on nation wide and has been for several years as a sign of the times. Universal design techniques used in building makes a home more accessible to all regardless of their mobility or adaptive abilities and plans for future elder living solutions. The multi-generational appeal of UD is appealing to any homeowner, their children, or their parents. An evolution of new products used for disability home modifications is making those homes more accessible and has finally come about in the remodeling industry. These new advances in accessible home remodeling in Austin not only keep the living environments safer but will not compromise the home's aesthetics. Universal design ideas do not strictly deal with accessibility or aging in place design and does not implement precise ADA standards but it does offer flexibility to add accessories now and later to those planning ahead or to the end user. It also provides for a wide range of human performance characteristics for the way people use spaces within their homes including well integrated usability features. These adaptations have a broad market appeal to everyone for achieving ease of use, safety, and convenience accommodating a certain reality. That reality is that all people exist along a continuum of human performance as per their personal traits and characteristics regardless of their age. A universal approach to design takes into account that everyone has varying degrees of ability and disability rather than someone is either fully-functional or disabled. A universal design is appealing to all users. Universal Design does not equate to accessibility design even though they both are concerned with ergonomics and human function issues. The ADA guidelines for accessibility were created as a means to help those people with extreme disabilities within our society who are a narrow and specific cross section of the masses. A UD approach broadly takes into account moderate impairments or disabilities, temporary health conditions, and the varying abilities of anyone within a home regardless of their age or size. In other words, an ADA accessible home would be designed for the one person with the disability whereas a UD home is designed for everyone and should be used with any custom tub shower conversion. With our population living longer, our society is experiencing an age related housing problem. Aging in place issues have become the norm given our aging baby boomer population. Aging in place specialists holding a CAPS certificate, their services, and aging in place design is taking over the remodeling industry day by day. A revolution in building design standards is long overdue. Our current building design standards do not address the needs of more than one third of our existing population. Many more people can greatly benefit from accessible design versus conventional design. Our rapidly aging population is experiencing the limitations of our personal living environments. Any evolution in building practically always begins in the common areas of the commercial building sector. The American Disabilities Act of 1990 increased the attention needed for those people having the right to equally access their work place and any recreational or leisure facilities. These rules at least offer minimal solutions for those needing the most help with any building access. In Austin, we now must provide access to one bathroom on the first floor in new homes as deemed by our newly adopted building regulations. This basic right to an accessible bathroom is finally being enforced by the city's building officials. What a tremendous needed and basic design improvement! This adequately sized universal design shower in this bathroom transformation above has wood blocking in the walls for a future folding seat and grab bars to be installed at the appropriate time. The low threshold shower entrance accommodates all users. 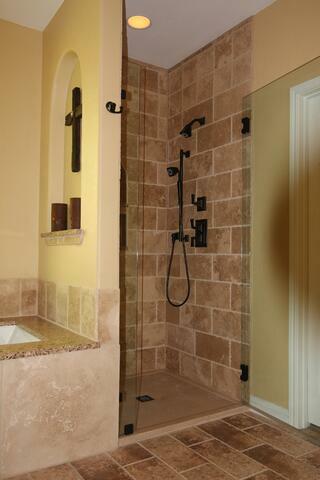 The shower controls are within a 48 inch height off the finished floors and graspable by all. The dual shower heads are definitely user specific. The shower entrance door has a 32 inch clearance when fully open. There is adequate spacial lighting for showering. 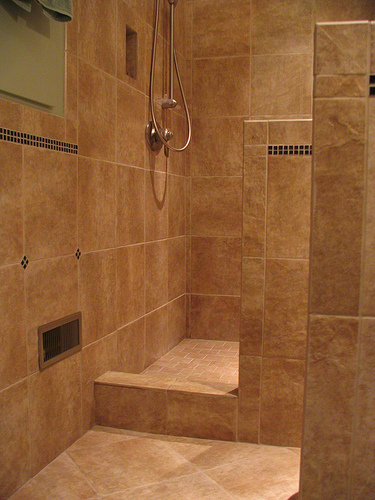 The floors both in the shower and connecting bath floor have an adequate nonskid surface rating. The Universal Design (UD) concept is also age driven like the aging in place issue but addresses the design of all homes both new and existing. Universal design/build addresses not only the problems all of today's homeowners face but the professional skills involved in design, building, remodeling, and all social and health services. This new evolving concept in home remodeling is catching on nation wide and has been for several years as a sign of the times. Universal design techniques used in building makes a home more accessible to all regardless of their mobility or adaptive abilities. The multi-generational appeal of UD is appealing to any homeowner, their children, or their parents. An evolution of new products used for disability home modifications is making those homes more accessible and has finally come about in the remodeling industry. These new advances in accessible home remodeling in Austin not only keep the living environments safer but will not compromise the home's aesthetics. UD does not strictly deal with accessibility and does not implement precise ADA standards but it does offer flexibility to add accessories now and later to those planning ahead or to the end user. It also provides for a wide range of human performance characteristics for the way people use spaces within their homes including well integrated usability features. These adaptations have a broad market appeal to everyone for achieving ease of use, safety, and convenience accommodating a certain reality. That reality is that all people exist along a continuum of human performance as per their personal traits and characteristics regardless of their age. A universal approach to design takes into account that everyone has varying degrees of ability and disability rather than someone is either fully-functional or disabled. A universal design is appealing to all users. Universal Design does not equate to aging in place and accessibility design even though they both are concerned with ergonomics and human function issues. The ADA guidelines for accessibility were created as a means to help those people with extreme disabilities within our society who are a narrow and specific cross section of the masses. A UD approach broadly takes into account moderate impairments or disabilities, temporary health conditions, and the varying abilities of anyone within a home regardless of their age or size. In other words, an ADA accessible home would be designed for the one person with the disability whereas a UD home is designed for everyone. Most people remember how the old style bathtub/shower combination was a standard part of any bathroom design. Some residential showering areas were enclosed using the multicolored vinyl shower curtain option while others had bypassing or sliding shower doors on tracks. The doors were framed with either chrome or gold colored aluminum matching the sliding tracks. Modern bathroom designs have become much more sophisticated because the many available bathroom products are easier to be discovered by the homeowner. There are millions of pictures representing fine bathroom upgrades or kitchen remodeling all across the internet. What about the costs involved? In general, typically projects undergoing Austin bathroom remodeling can run you about $16,000. However a large master bathroom makeover can push up your budget to around $26,000 as an average. Don't forget that these are average costs and the client is limited only by their bank account totals. Just the conversion of a tub into a walk in shower design can set you back around $9,000 as a good medium price range. But what makes the costs appear so expensive? Basically time, the difficulty of the job and the actual labor costs performed by all the trades involved plus the expenses for purchasing the products chosen to complete the project. If you are benefited by having a larger space to deal with there will be increased costs due to the larger area to finish -as in more tiles for a bigger area and the labor to install them. Your costs may go down per square foot but you are certainly dealing with more square feet and increased costs. You need to consider that plumbers, electricians, tile setters, framers, drywall workers, carpenters, and insulation installers, just to name a few trades, will be involved in your bathroom remodel. Now how about the demolition that will be involved before the actual construction begins? Sometimes the preparations behind the scenes take longer than building the new bathroom remodel itself. Perhaps there isn't enough water volume to supply your chosen bathroom fixtures requiring a pipe to be upgraded or there just isn't sufficient fall for a gravity drain to work naturally that necessitates a lift pump system be installed. What are the new electrical requirements and layout and do these require dedicated or GFI circuits and will the existing electrical panel handle the new circuit breakers? Considering a new walk in shower design? 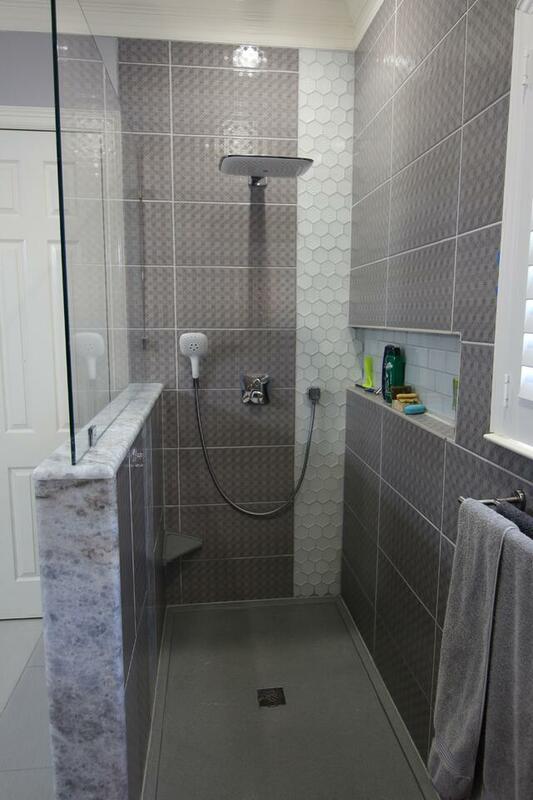 You can design the space so it doesn't require a door for splash protection or you can take the route of a clean looking frameless glass shower enclosure. This will surely set you back at least $700. The end result will be a sophisticated clean look of beauty enclosing your new shower. Whether the door sits upon a curb or you have a specific need for a curbless situation you will be satisfied with your choice. Let's say your tile choices include glass and marble instead of ceramic or porcelain and you choose to accent your bath with a glass block design. All these premium finishing choices will drive up your project's bottom line well above the averaged costs mentioned above as a rule of thumb. Fine cabinetry is a must for any bathroom makeover. As for the vanity, you can work your way down from the upgraded cabinet top that has been installed at the correct height for you. The vanity should have adequately accessible storage satisfying your needs. Incorporating easy operating and properly sized drawers and pull out shelves within the design can be very beneficial. Linnen, medicine, and "over the potty" wall cabinets need to be well thought out. The correct species of wood used for the construction of your fine cabinetry and the style of you cabinet doors are two very important factors to consider. Remember, you do have a choice and you are going to be looking at these new cabinets for a while. If you have been considering a fine bathroom makeover or remodeling project in Austin there are a few things you should take into consideration. 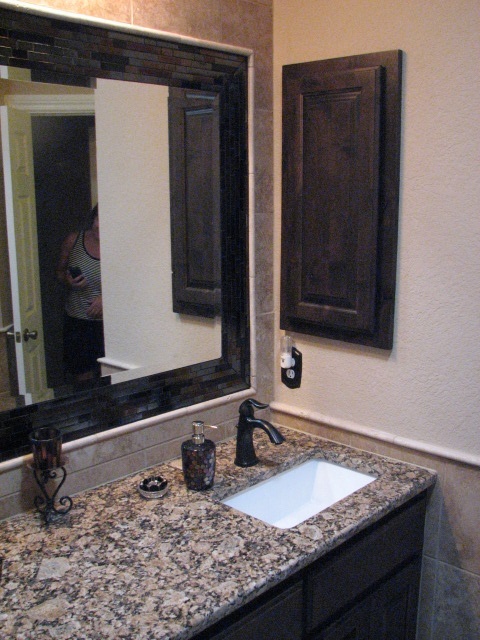 Austin bathroom remodels can take on many looks and facets. The scope of work you choose to accomplish should effectively solve your problems and most importantly, your needs as the home owner. The identification of these specific needs belongs to you the home owner and is extremely important. The way your home is structurally altered to accomplish these needs is the job of the professional remodeling contractor. Accessibility should be a concern no matter what your age. If your concerns are not for you, barring any life changing accident, they could concern the accessibility of another generation's independence is using the restroom. CAPS professionals in the remodeling industry can help with solutions in solving these Aging In Place issues. Just look at the different types of housing represented throughout Austin and the surrounding areas. Smaller homes, cottages, sprawling historical town homes surrounded by architecturally pleasing fences, rustic ranch homes, "Macmansions", and sleek high rise condominiums are just a few examples of the structures that define Austin's diverse housing landscape. Economic situations along with personal preference formulates where we choose to live in a town with such diversity. Most people remember how the old style bathtub/shower combination was a standard part of any bathroom design. Some residential showering areas were enclosed using the multicolored vinyl shower curtain option while others had bypassing or sliding shower doors on tracks. The doors were framed with either chrome or gold colored aluminum matching the sliding tracks. Modern bathroom designs have become much more sophisticated because the many available bathroom products are easier to be discovered by the homeowner. There are millions of pictures representing fine bathroom upgrades or bathroom remodeling all across the internet. Living with a dysfunctional bathroom layout reduces the total feeling of relaxation your master bath is capable of providing. Carefully thought out bathrooms transformations can solve this problem. During those much deserved private moments you long for your bathroom's surroundings to provide both luxury and function. There isn't adequate lighting for the many daily personal duties like applying makeup. There needs to be adequate ventilation so you don't always feel as though you are housed in a "sweat box" while getting dressed. The outdated plate mirror extending from your vanity top's splash upward toward the drywall furrdown above has never been a design you thank the world of. You have always disliked that box above housing the poorly illuminating fluorescent tube lamps that are concealed by the yellowing plastic fluorescent light panel. You are sick and tired of the poor storage facilities inherited when you purchased your home. The height of the vanity is out of line according to your needs and it is also inadequate for your storage needs. The existing cabinet layout contains unusable drawers beginning to come off their tracks and the cabinet doors have their own particular issues. Your cabinets are either too deep to access what they contain or their storage capabilities have been limited by their total improper design. What were those guys thinking? What's more the out of fashion ceramic tiles are either partly missing or they are totally the wrong color for the day along with the colors within the rest of the room. Having improperly working plumbing fixtures that are now also antiquated with their own set of problems is yet another matter within itself. 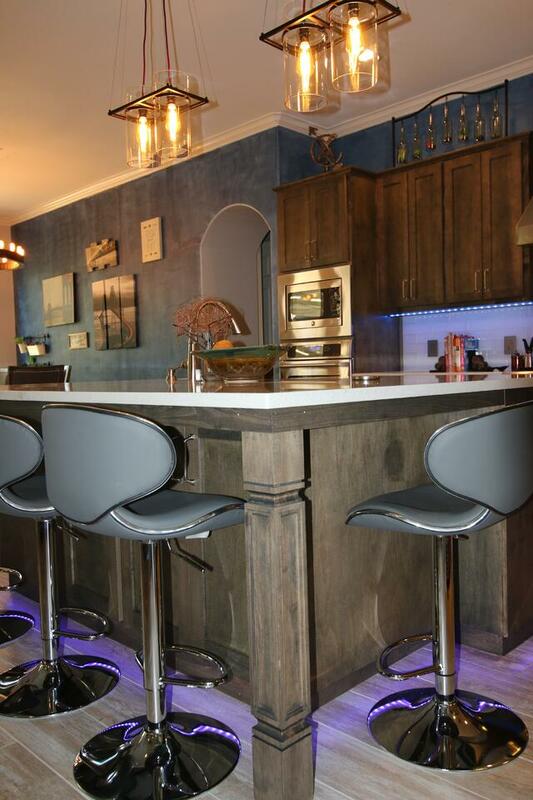 The fixtures themselves can also be finished in a color that is long out of style. So what do you do? Keep in mind that moving plumbing, especially drains, is one of the more expensive aspects of a fine bathroom makeover involving floor demolition. If you can limit and control the costs involved with this issue you will have more money to spend on the things that show off your endeavors. Changing water supply line locations in your bathroom remodel in Austin is not as difficult as moving drains especially when they go into the main drainage system that resides underneath the finished floor. Fine cabinetry is a must for any bathroom makeover. Bathroom cabinets in Austin can vary by both use and aesthetics. As for the vanity, you can work your way down from the upgraded cabinet top that has been installed at the correct height for you. The vanity should have adequately accessible storage satisfying your needs. Incorporating easy operating and properly sized drawers and pull out shelves within the design can be very beneficial. Linen, medicine, and "over the potty" wall cabinets need to be well thought out. The correct species of wood used for the construction of your fine cabinetry and the style of you cabinet doors are two very important factors to consider. Remember, you do have a choice and you are going to be looking at these new cabinets for a while. The National Association of Home Builders, in partnership with the AARP and Home Innovation Research Labs, created the CAPS program, which includes training and education on the technical, business management and customer service skills essential to compete in the fastest growing segment of the residential remodeling industry--home modifications for aging in place. David L. Traut, CAPS the owner of T-Square Company in Austin, Texas is one of the select group of professionals nationwide to earn the Certified Aging-In-Place Specialist (CAPS) designation, identifying him as a home remodeler and builder with the skills and knowledge necessary to remodel or modify a home to meet the unique needs of the older population, disabled owners or their visitors. We are a bathroom remodeling contractor in Austin, Texas.